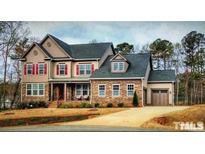 Below you can view all the homes for sale in the Yates Mill Run subdivision located in Raleigh North Carolina. Listings in Yates Mill Run are updated daily from data we receive from the Raleigh multiple listing service. To learn more about any of these homes or to receive custom notifications when a new property is listed for sale in Yates Mill Run, give us a call at 919-928-5027. Family Room w/Coffrd Ceiling, Cstm Srrnd GasLog Fireplace & BuiltIns! MLS#2250450. 1128. Family Room: Cstm Srrnd Fireplace w/Mntl & Blt Ins & SlidingDoor to Covrd Porch! Upstrs Bonus & Craft Room! MLS#2248868. 1128. FamRoom: Hardwoods, Cstm Srrnd GasLog Fireplace w/Cstm Mantle & Built-ins, & Slider to Scrnd Porch w/Fireplace! Upstairs Bonus & Media Rooms! MLS#2248340. 1128. Sunroom w/Skylights, GasLog Fireplace, Door to Deck! MLS#2244351. 1128. Gourmet kitchen with island, Granite countertop and 42" cabinets. Flat and private backyard. MLS#2241956. 3898. FamRoom: Cffrd Ceiling, Cstm Srrnd GasLog Fireplace w/Blt Ins & Double Doors to Covrd Porch! MLS#2234016. 1128. Basement has 12' Sliders to Patio! MLS#2233212. 1128. FamRoom: w/Trey Ceiling, Cstm Srrnd GasLog Fireplace w/Mantle & Blt Ins, & Sliders to Scrnd Porch w/Fireplace & GrillingDeck! MLS#2229256. 1128. FamRoom: w/Coffrd Ceiling w/Cove crown, Cstm Tile Srrnd GasLog Fireplace w/Mantle & Blt Ins! Patio w/Fire Pit! MLS#2227804. 1128. FamRoom: w/Cstm Srrnd GasLog Fireplace & Slider to Scrnd Porch w/Fireplace & Rear Deck! MLS#2225038. 1128.